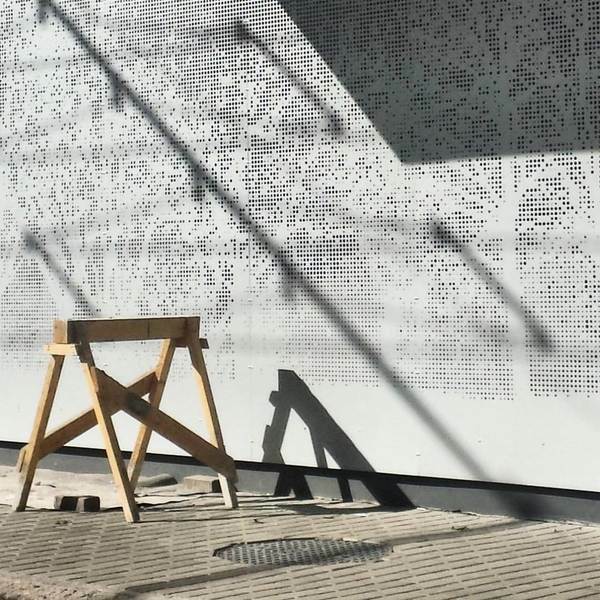 Perforated metal, also know as perforated sheet, perforated plate, or perforated screen, is a material used in many fields and highly appreciated for its strength, flexibility and low price. 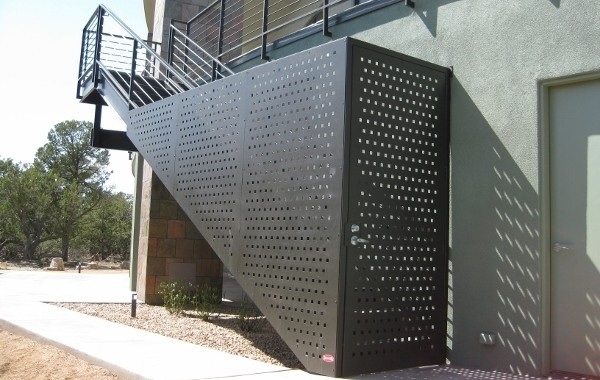 Nowadays we are used to see perforated metal in public and residential areas. Most often the sheets are used for facades and exterior design of buildings, but its application is not limited to only that. They are resistant to rust and corrosive environments, so they are widely used in food and chemical industries. 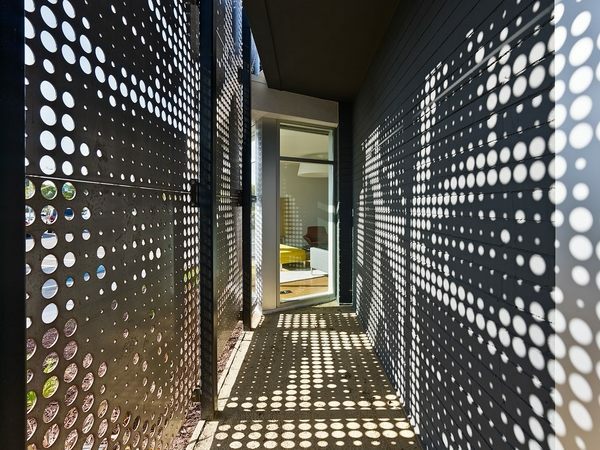 We shall look at the different ways for using perforated metal panels in architecture, exterior design, landscape, we shall also look at some amazing interior designs as well as metal furniture design. 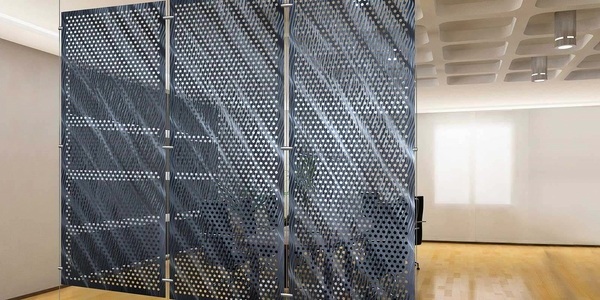 Perforated metal sheets used for exterior and interior design feature numerous patterns and different materials – stainless steel, coated steel, refractory metals, aluminum, copper alloys,zinc, nickel, titanium – work harmoniously with many other materials like wood, natural stone, ceramic tiles, bricks, glass and leather. 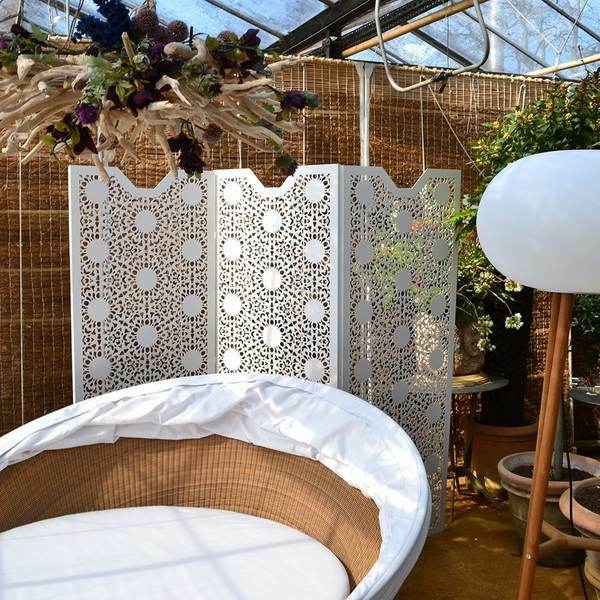 Decorative sheets differ in in shape, texture, weight, finish, but despite the differences they have a tremendous impact on the appearance of buildings and home interiors. 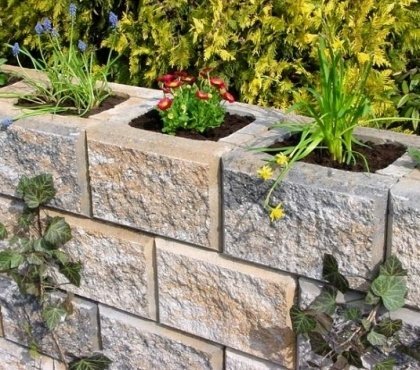 The wide popularity of the material is mainly due to the ease of processing, thermal durability, resistance and adaptability. 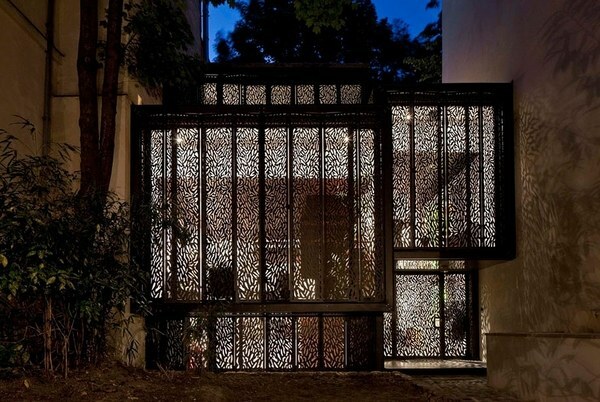 In fact, there is no sphere of human activity where he could not make use of perforated metal as constructive or decorative material. The main areas of applications are – agriculture and agricultural machinery, food industry, chemical and petrochemical industry, automotive, furniture, commercial and office equipment, interior design. 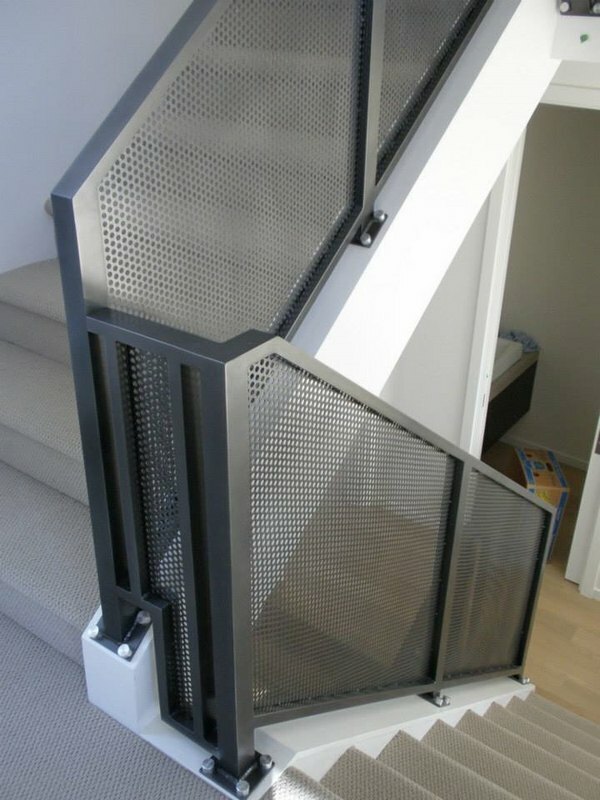 From vent filters to protective screens, chairs, advertising stands, cabinets, protective window screens, balcony, metal staircases and stair railings, decorative ceilings, room dividers, even household items – metal sheets have unlimited applications. 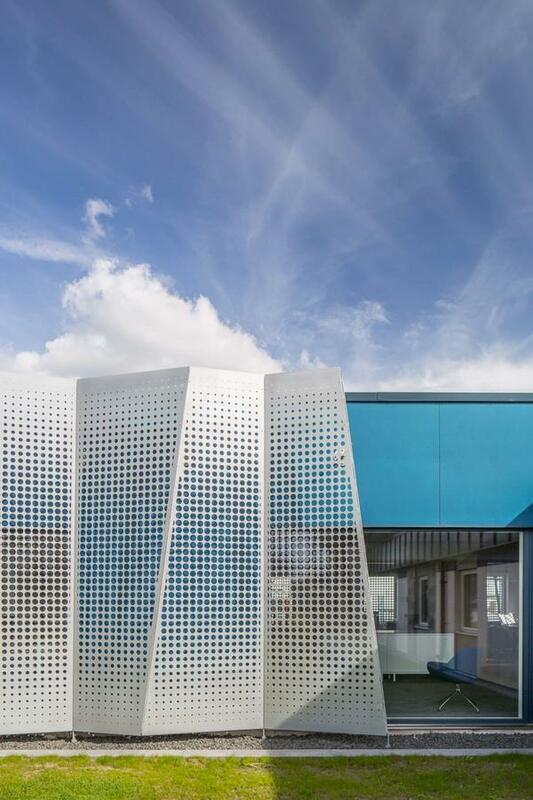 What are the advantages of perforated panels? Perforated sheets are manufactured from aluminum, bronze, stainless steel, titanium and are practically versatile. The advantages are many and we shall look at some of the most important ones. Lightweight is among the main advantages. 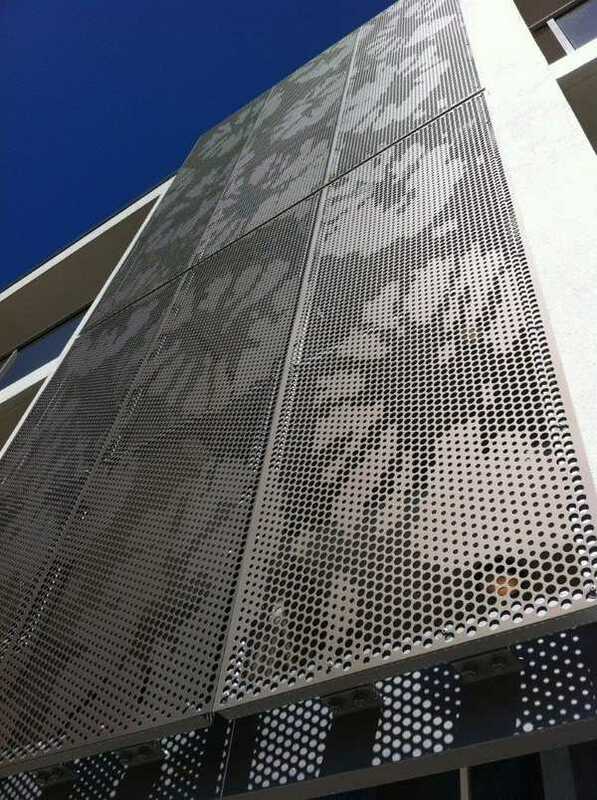 The relatively light weight makes perforated panels a great choice for cladding. Versatility and durability are major advantages of the panels. 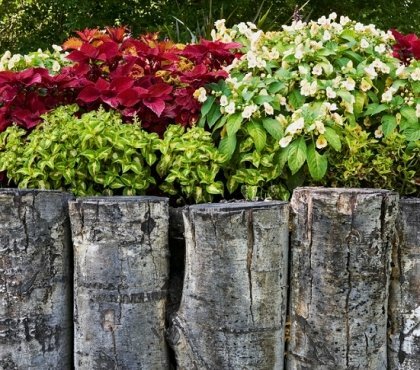 They can be either used as structural elements or as decorative elements. 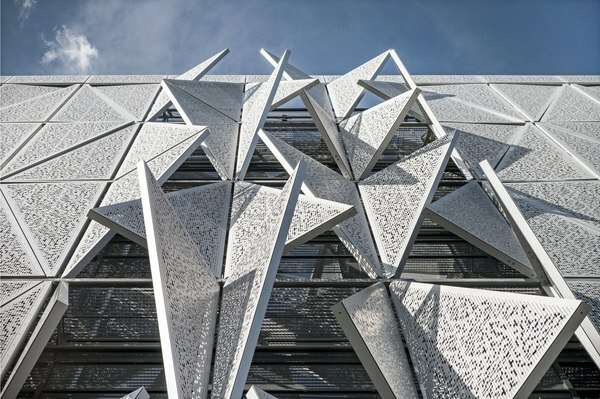 Metal sheets are very strong and withstand harsh weather environment, they can control light when used as sunscreens, and significantly reduce the weight which the framework of the building supports. Perforated sheets are an eco-friendly and recyclable material – they are manufactured through punching and the metal extracted is recycled and reused. 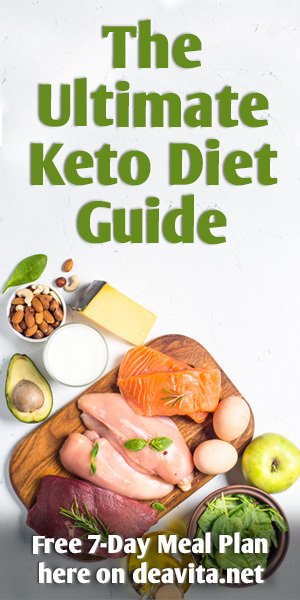 This leads to reduction in the amount of metal used, lower energy consumption, the lower weight leads to lower fuel transportation costs and all these factors have a direct influence on resource preservation. Canopies and facade panels are mostly used to save energy and control the interior climatic conditions. 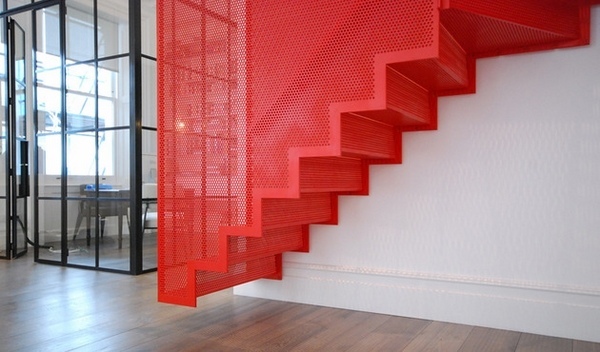 Visual appeal and aesthetics – Perforated sheets are a combination of beauty, strength and functionality. 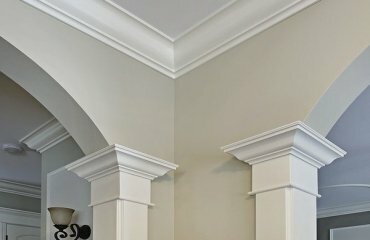 They offer a unique appearance which complements any building. 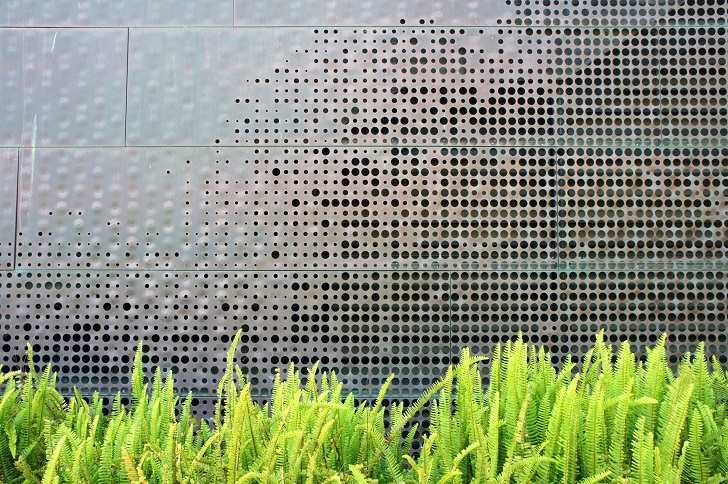 Metal sheets can be perforated in thousands of patterns and in any shape – holes of any size, geometric patterns, artistic patterns, custom patterns, etc. 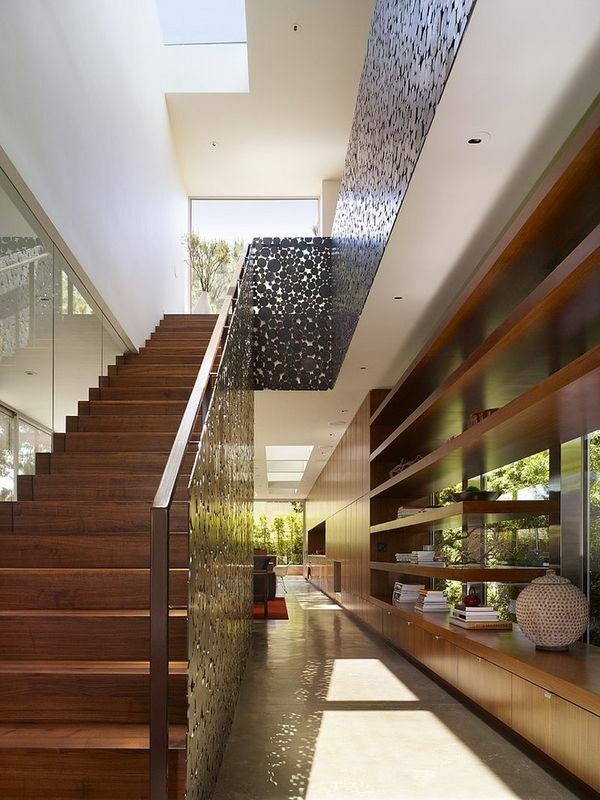 One unique property is that they combine transparency and a certain degree of privacy. The transparency can be strong or slight according to the purpose of each individual project. 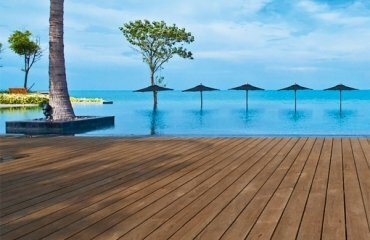 Panels can be painted in any color which provides endless design opportunities for both exterior design and interior decoration. 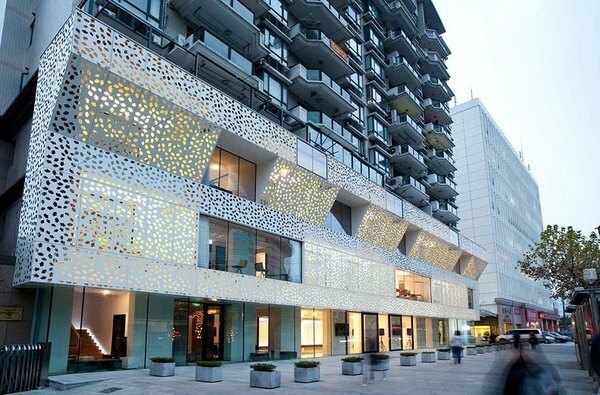 When perforated panels are used as exterior cladding the light from the interior shines through and makes the building look absolutely stunning without compromising the privacy of the occupants. Last but not least, one of the most important advantages is the ease of installation and long service life. 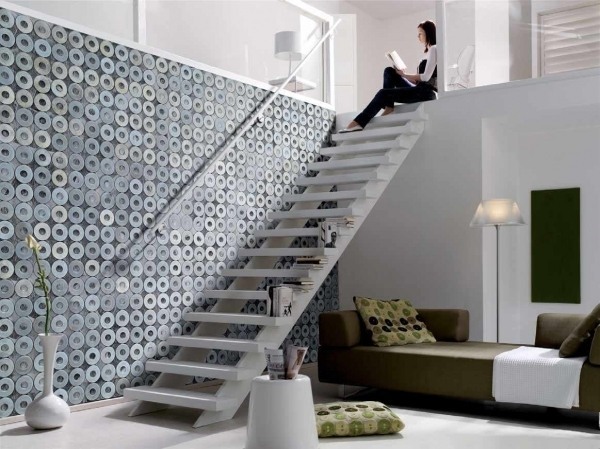 Metal sheets are extremely long-lasting and do not require replacement for years. 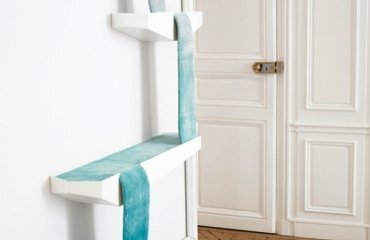 Nowadays architects, designers and decorators are constantly seeking for new materials that would satisfy the taste of even the most sophisticated customer. 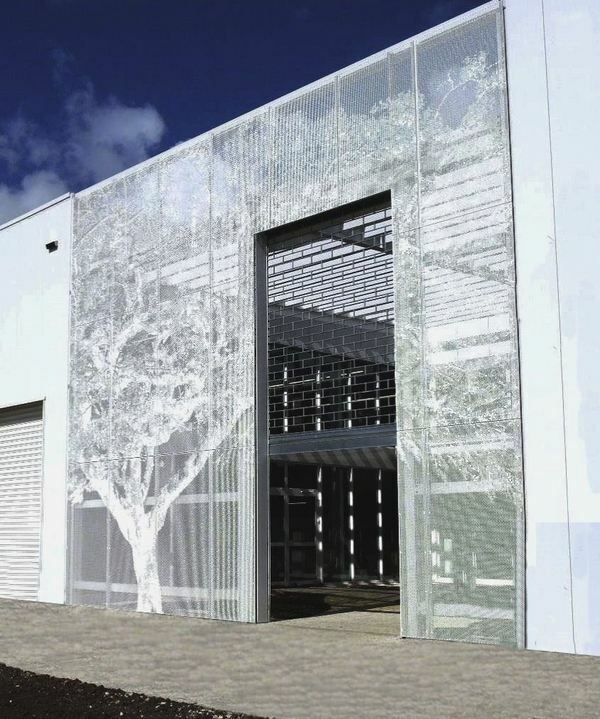 We see perforated metal sheet finish on the facades, exterior and interior designs of shopping centers, restaurants, casinos, corporate offices and headquarters and even apartment buildings. 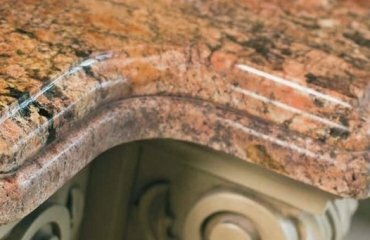 Hardly any other material combines the visual aesthetics, practicality, durability, strength, ease of use, attractive price and limitless possibilities for creative designs. 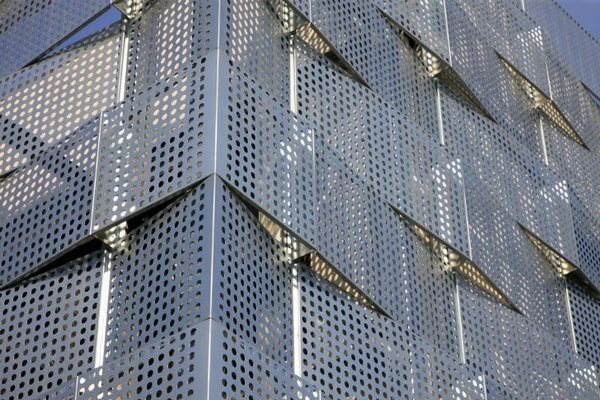 Without any doubt perforated metal has a significant role for the spectacular architectural appearance of modern cities and is present in spectacular compositions decorating buildings, industrial and public areas. 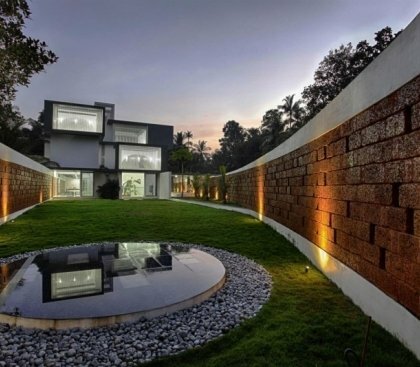 Modern architects and designers are using all the aesthetic qualities of metal sheets to give an artistic appearance and expressiveness of buildings, industrial and public structures and residential areas. 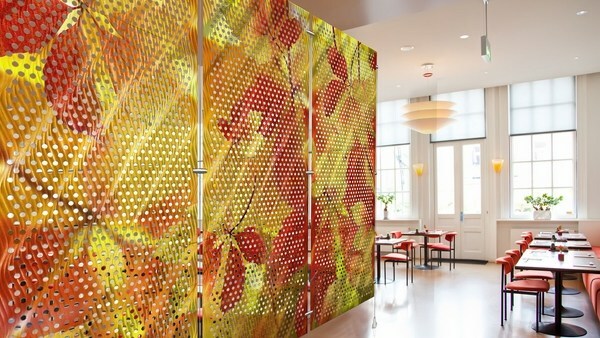 The ability to take advantage of modern technology and create numerous intricate patterns on metal sheets allows to use them in urban environment in original ways and makes them bright and unique elements of the urban landscape, a symbol of the artistic image of the city and very often a special feature of the landscape. 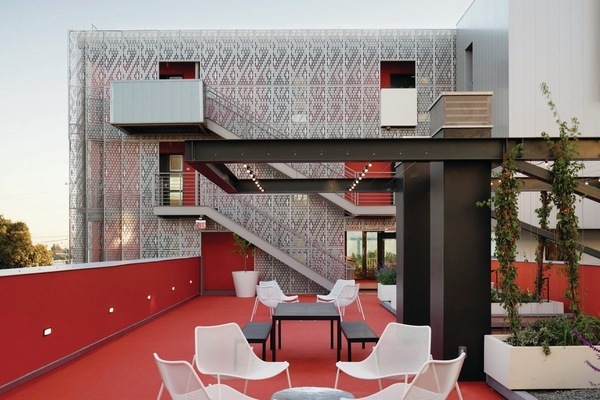 Using шге panels as exterior building decoration allows architects to play with light, colors and surface textures and add originality and interest to the building’s facade. 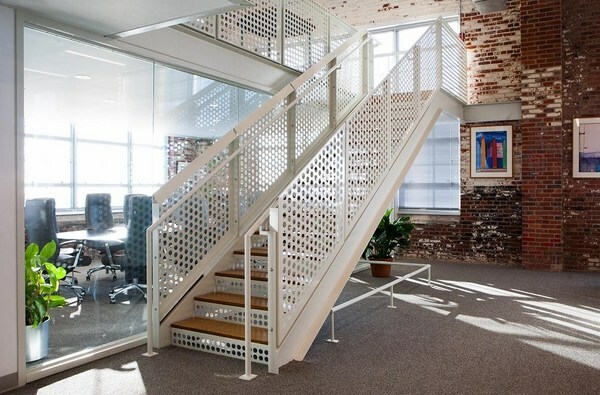 Perforated sheets are increasingly used in the interiors of industrial and residential buildings. 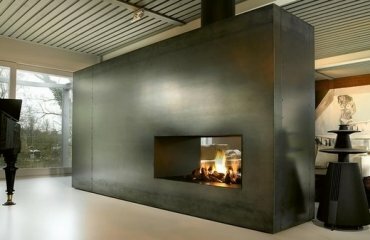 When you want an architectural dynamics, contemporary appearance, modern and sleek look, when you want to make a statement in your interior design project or simply need a unique design element, perforated metal is an excellent choice. You can use panels and sheet for flooring, lighting enclosures, privacy screening, seating, interior staircases, railings, decorative stair treads, column covers, partition walls, room dividers, suspended ceilings etc. 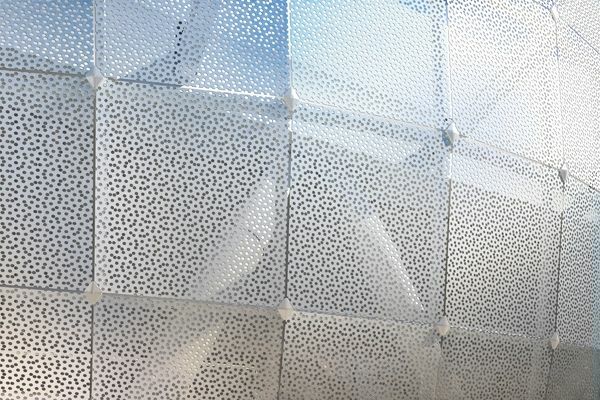 and create complex multifaceted surfaces with interesting acoustic qualities and stunning visual effect. Beside the tasteful and contemporary elegance, the panels in interior design offer better ventilation, structural stability, and an airy appearance. 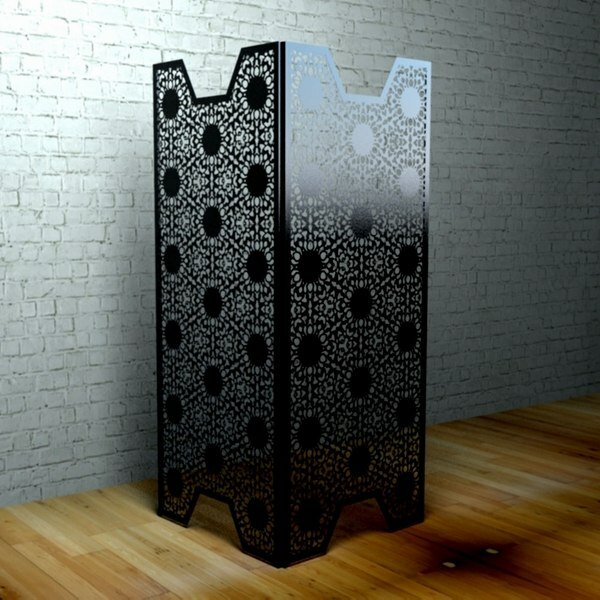 They can be used in any room of a home – bedroom, living room, home office, dining room. 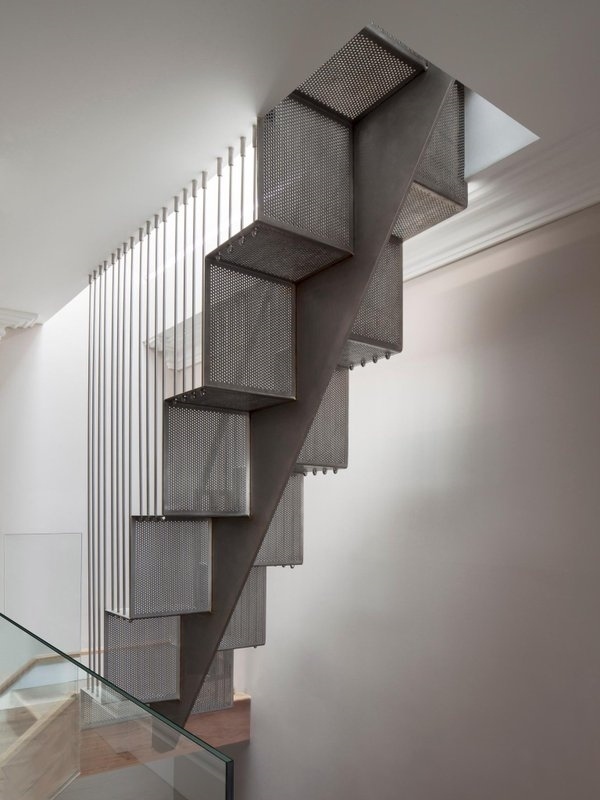 The multiplicity of forms, textures and patterns of decorative metal sheets offer numerous stylistic opportunities and wood, glass, brick or natural stone reveal the aesthetic and decorative possibilities of perforated metal as a factor in the spatial organization of the interior. 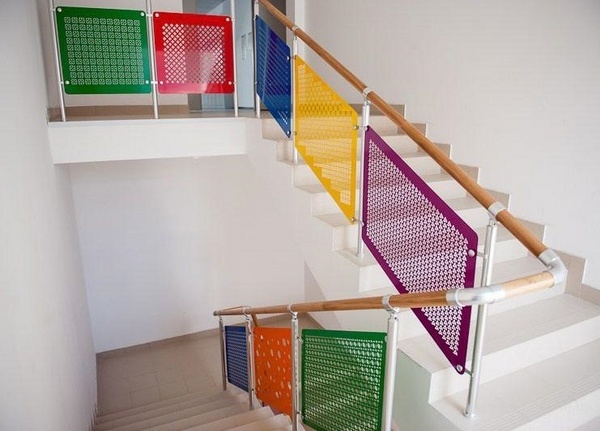 Due to the durable and hygienic surface, perforated sheets are widely used in public interiors as well – hospitals, schools, airports, office areas, bars and shops, hotels, libraries, etc. 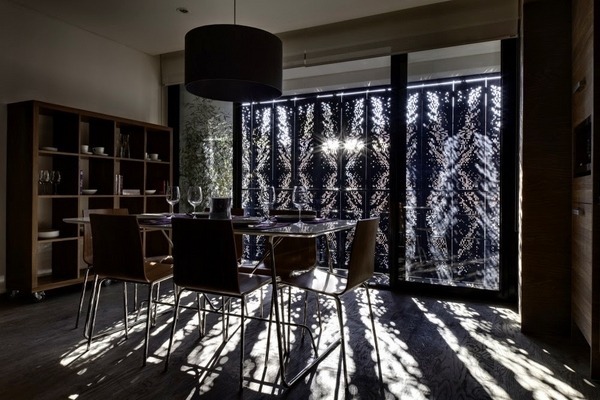 Perhaps the most impressive property of perforated metal sheets in interior design is the ability to create different lighting effects. 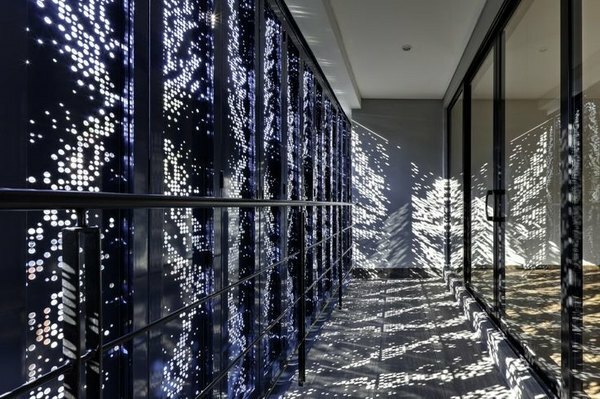 With a simple lighting fixture and a perforated panel installed at a distance from the ceiling or wall the visual effect is striking. 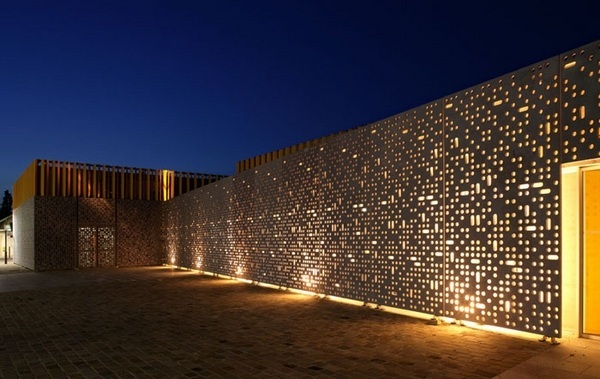 Back lighting perforated panels creates a certain mystique atmosphere and a feeling of intimacy and depending on the pattern of the panel the light streaming through the holes can create static or dynamic effects. 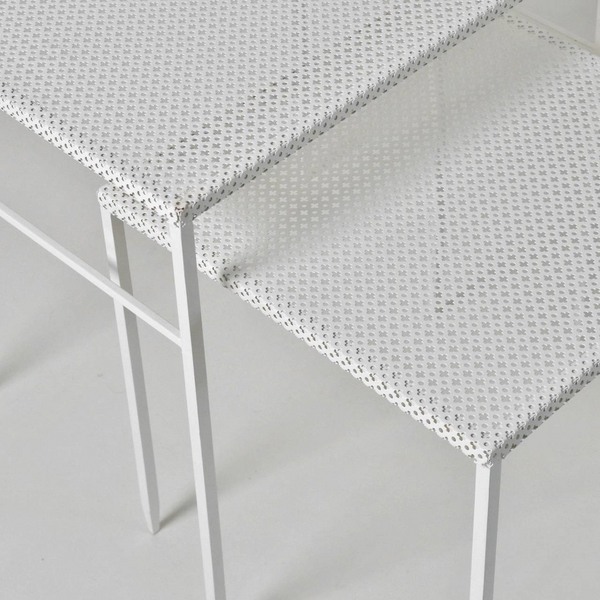 Perforated metal furniture design ideas come in such wide variety that it is difficult to list all the types of furniture – office, kitchen and cabinet furniture, decorative items and accessories. 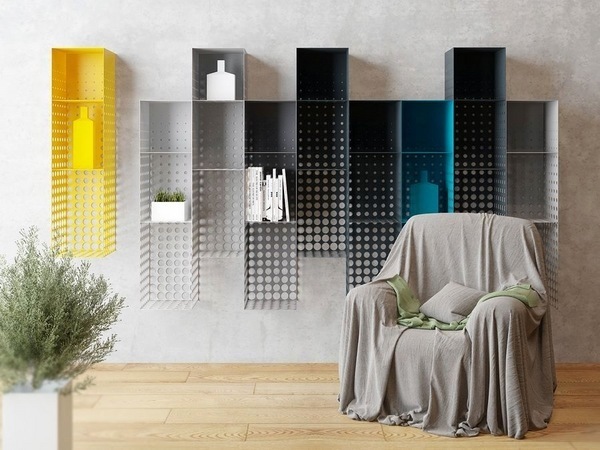 Most naturally, these furniture pieces and decorative accessories work with Hi-Tech and Industrial design styles, with contemporary interior designs and carry the spirit of modernity. Nowadays benches and chairs are commonly seen in hospitals, airports, bus and train stations and corporate offices. Their strength, durability and light weight makes them a prime choice. 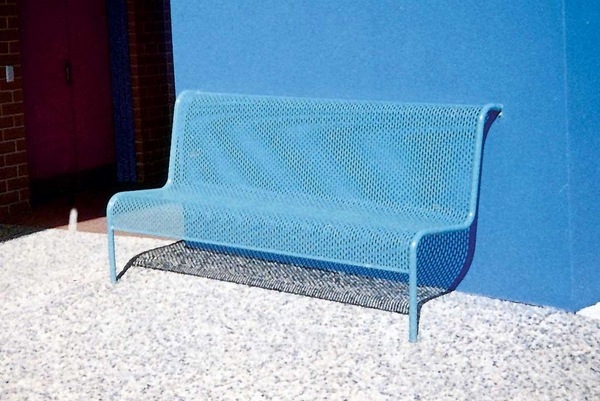 In many parks the benches are made of perforated sheets painted in different color. 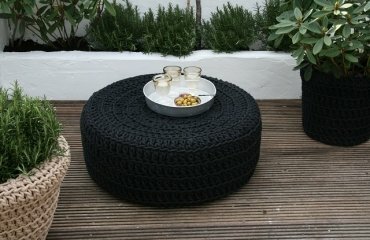 Those are especially durable, resistant to cold and heat, rust resistant, etc. 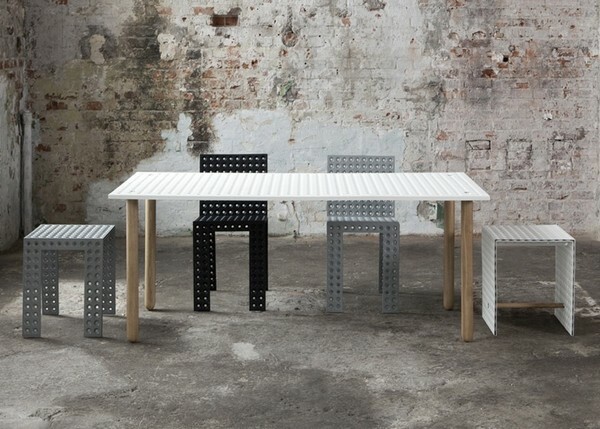 which obviously means that perforated metal is an excellent material for indoor and outdoor furniture. 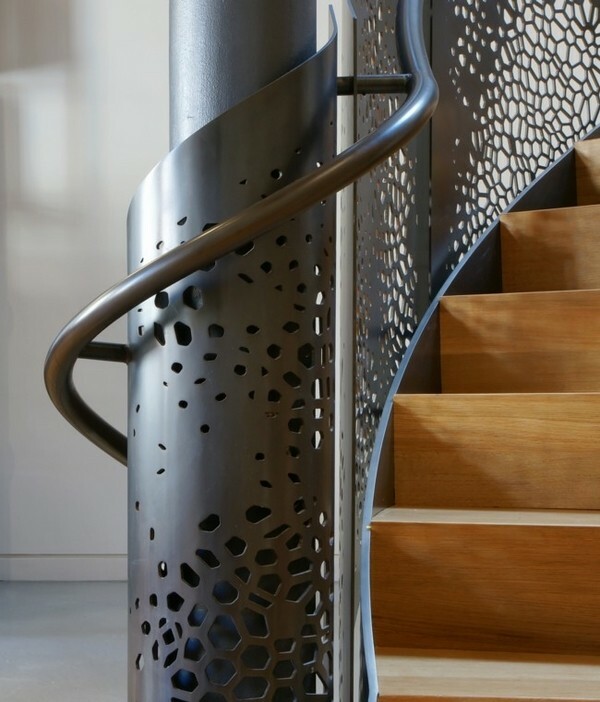 We need to mention laser cutting technology when we talk about perforated metal. 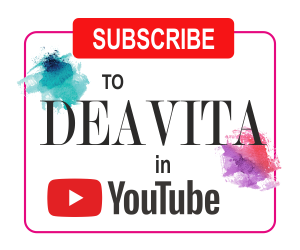 Despite that this is a cutting edge technology it has found its application in exterior, interior and furniture design and provides almost unlimited possibilities for the realization of the most daring and creative ideas. The exquisite carving is combined with the durability and solidity of the metal and the result is an exclusive design which adds a luxurious ambience. 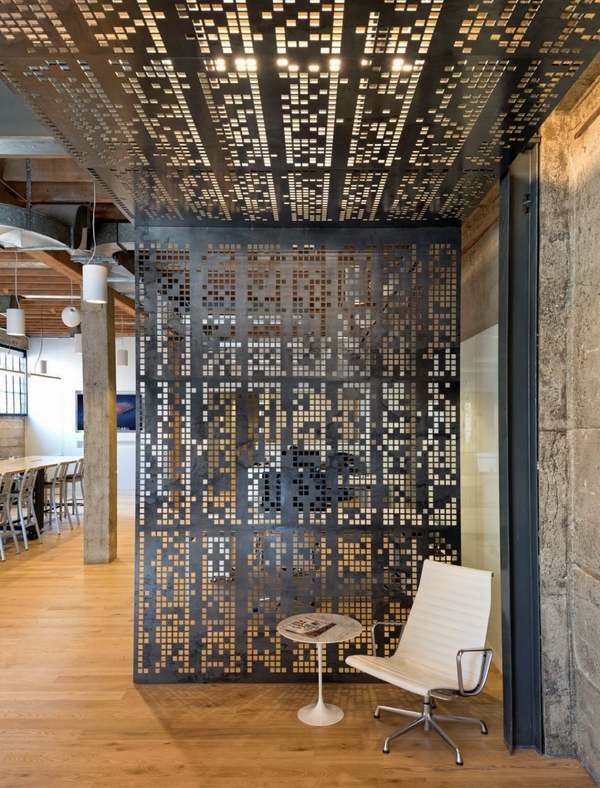 Laser cut metal panels are not different from perforated metal panels except that they have unique artistic patterns and carvings. 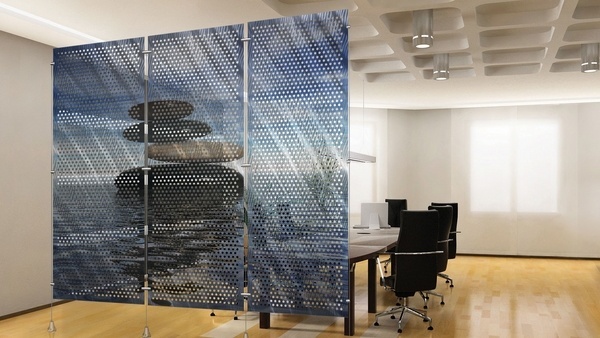 You can see laser cut metal radiator screens, lamp shades, furniture pieces, shade screens, wall panels, etc. 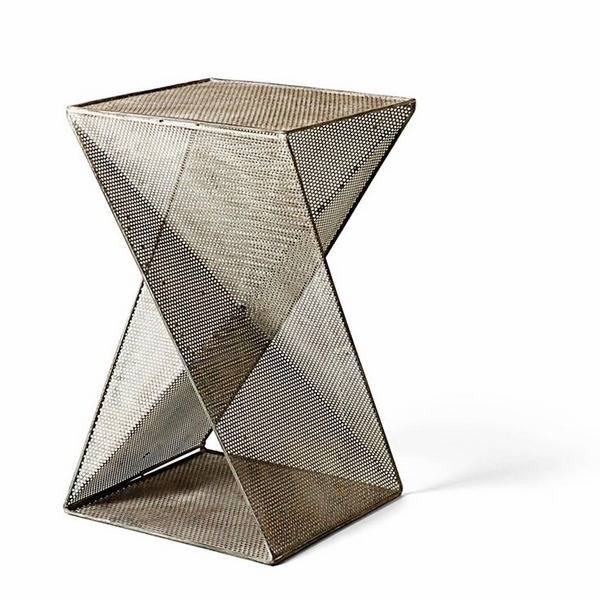 Laser cutting technology avoids mechanical impact to the metal and eliminates the possibility of unwanted sharp edges. 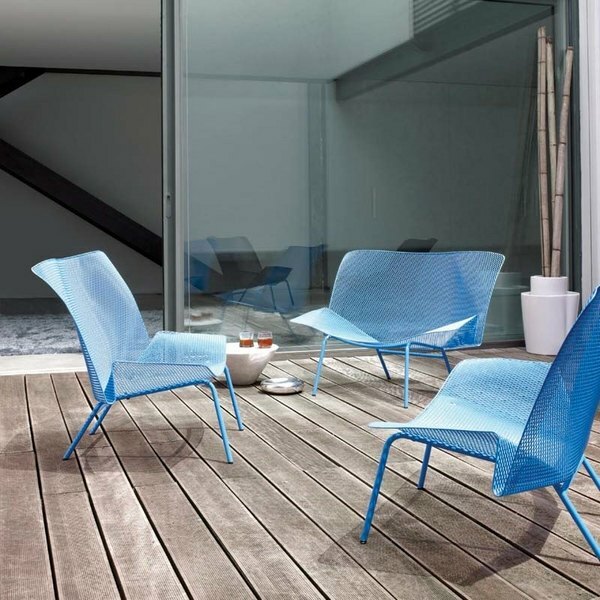 The technology provides the opportunity to create most complex patterns with high precision to create beautiful, durable and stylish elements for contemporary exteriors, interiors and furniture pieces.